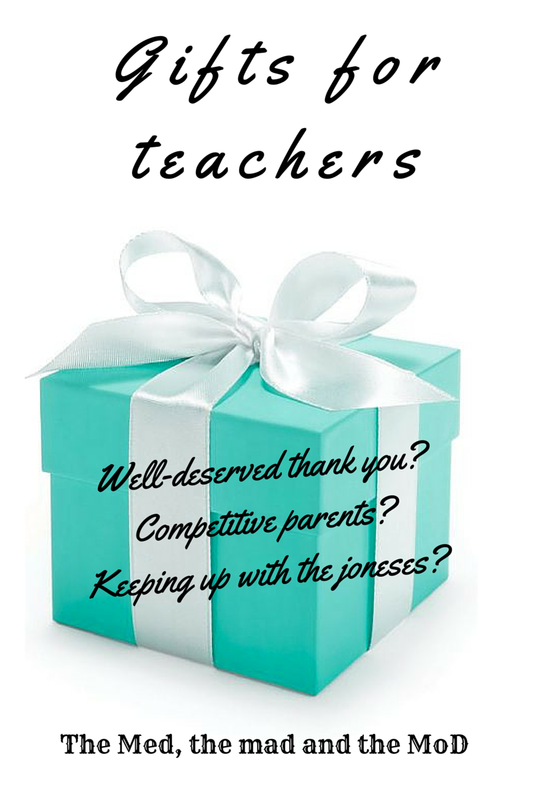 This entry was posted in Teachers gifts, Teaching and tagged extravagant teachers' gifts, homemade teachers' gifts, Teachers' gifts, The Independent. Bookmark the permalink. ← Not your everyday view of the Red Arrows! “During grades7-11 are the times when gifts can be used to manipulate teachers”. Or that’s what some kids used as an excuse for gifts. A couple of years ago, I used to give gifts to each of my teachers but things started to change as I entered high school. Money problems may occur or you might just dislike the whole class or teacher. Time also becomes a issue so parents are just buying gifts which can rack up to hundreds of dollars. Thank you Shane, it is interesting to hear from a pupil and to hear that the phenomena is not just in the UK!